The revamp of a children’s cancer ward has seen the introduction of a digital aquarium which will provide safe entertainment for patients with weakened immune systems. 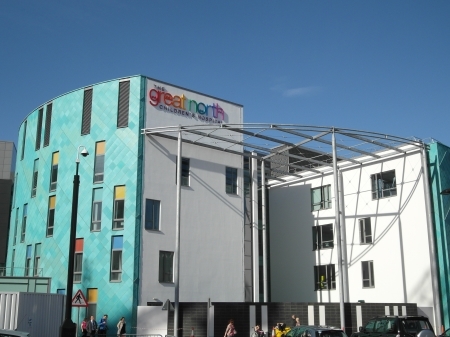 The Royal Victoria Infirmary (RVI) in Newcastle has been providing healthcare to communities in the North East for more than 250 years, including to patients at the Great North Children’s Hospital. Ward 4 is the teenage and children’s cancer care ward and sees patients from all parts of the North – meaning many are a long way from home when they are receiving inpatient treatment. After a revamp of the ward’s ‘Quiet Corner’, the staff felt the area was lacking interactive activities for the children. Looking for something therapeutic that would improve the environment, and at the same time provide easy-to-clean safe entertainment for young cancer patients with weakened immune systems, Alison Moodie, a play support volunteer on the ward, identified the Dimplex Opti-V Aquarium. The solution uses Dimplex’s Opti-V technology, which is usually seen in its electric fires, to render a virtual aquarium experience that is stunningly beautiful and maintenance free. The aquarium was designed for the international market, primarily for commercial installations such as retail stores, hotels, and restaurants. Not currently available in the UK, Moodie contacted Dimplex to see if it was possible to secure one of these aquariums for the ward. 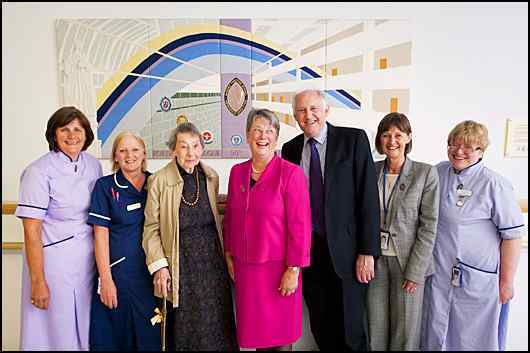 She said: “As a new volunteer I wanted to make a difference on the ward. Jonathan Smith, product marketing manager for Dimplex, added: “As soon as we heard what Ward 4 was looking for, we knew we wanted to help in any way we could. The design features ultra-realistic yellow tang and clown fish swimming within a three-dimensional environment that is vibrant in both colour and definition. The ward’s patients and families are now able to enjoy the lifelike behaviour of these exotic marine fish, and the bubbling sound of a real aquarium, without the need for staff to feed fish, clean the tank, or maintain the filter, water quality and temperature. Critically, as the Opti-V technology is water free, with no harmful particulates or emissions, it was also able to meet the strict safety requirements of the ward environment. To house the Opti-V Aquarium on Ward 4 a special wooden cabinet was constructed. “This is a unique application of the Opti-V technology in the UK,” said Smith. And Wendy Larmouth, sister in charge on Ward 4 at the Great North Children’s Hospital, said: “We are so grateful for the donation of this fabulous aquarium.